It’s the end of January, a time when many of us should be well on our way to achieving the goals we set on New Year’s Eve. Yet for many of us, by the fourth week of the new year, our initial enthusiasm has burned off, along with our motivation, and we are no closer to reaching our desired outcomes. This drop off isn’t because we lack drive. Often, we simply just haven’t equipped ourselves with the right tools to succeed. While it’s true that accomplishing a goal takes thoughtful planning and daily action, you must invest time and effort in creating a process that supports you along the way. We want to help. In this post, we will give you seven tips to incorporate into your goal-setting process that will help you finish what you started. 1. Work backward to make an action plan: you know the expression: “a goal without a plan is just a wish”. To get where you want to go, you have to plan the way. However, this can stump a lot of people. Not everyone can see the path ahead clearly. One useful way to do this is to imagine yourself having already reached your goal and then work backward. For example, let’s say your goal is to find a new job. Now, visualize yourself enjoying your new job. Write down what you’re doing and what you love about it. Don’t worry too much about the details, but get a good sense of the big picture. Next, record the steps you would be likely to take to get this job by working backward: include all the steps of your job search such as contacting your dream company, networking, and writing your resume. Finally, write out those steps in reverse so you have a logical order. In this case, your first step would be writing your resume, then networking etc. Ensure you include timelines to stay on track. Congratulations, you now have an action plan! Break down your action plan into weekly steps: Now that you’ve got your action plan, you must break it down into doable chunks. By doing so, you are less likely to become overwhelmed. As most of us know, the road to achieving your goals is a journey taken with small incremental steps. Also, this practice will naturally set up deadlines that will hold you accountable; you can’t move on to the next step until you’ve completed the one before it. Using our example from above, go through your action plan and group the individual items into weeks. Week one would be writing your resume. Week two would be setting up job alerts with job sites and employers of choice. On week three you could assign yourself interview role-playing exercises, and so on. 3. Write your weekly action steps in your planner: Make your action steps part of your task list or calendar. If you don’t build them into your day, you will be more likely to put them off or forget about them altogether. As you get used to including your action steps in your schedule, over time it will become second nature to work on your goals as well as your other to do’s. We know someone who writes her action steps on post-it notes that she sticks in her planner. This makes them stand out from the rest of her task list and harder to pass over. Would this be a helpful practice for you? 4. Create a goal support network. This is a really valuable tool that we can’t recommend enough. Find an accountability partner that you can report to on a regular basis. This could be a circle of friends or one person you trust who will keep you accountable. Or, you may want to create a social media group that you check in with regularly. Our Chief HR Consultant meets with a group of her friends once a year to engage in personal goal setting. Each member of the group presents the goals they aim to achieve for the year. Then, once a quarter they meet to share an update on their progress towards goal attainment. Being held accountable to a group, increases the likelihood of working towards your goals. This formula of encouragement, accountability, and recurring connections with close friends could be a winner for you too. 5. Trouble identifying goals? Ask for suggestions. It happens to all of us sometimes. We aren’t quite sure what we should be working towards and are unable to set a goal that motivates us. When inspiration is lean, try going to a respected colleague, manager, or someone you admire for their input. Perhaps they have some insight that you are missing and can inspire you with a fresh goal idea. 6. Work with a professional coach: Sometimes we need someone by our side to help us stay on track, especially with goals that may seem bigger than we can manage on our own. We recommend working with a professional coach. 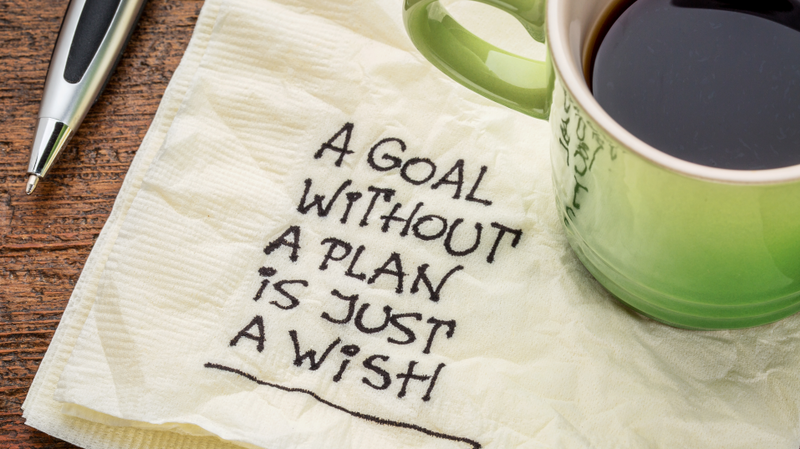 A coach is trained to help you identify goals and craft a successful action plan. They are also there to help you jump any hurdles you may encounter along the way, and cheer you on as you go. Pivot is pleased to offer professional coaching services: we invite you to read more about them here. 7. Don’t beat yourself up: Remember that minor missteps when on the path to achieving your goals are completely expected and OK. Don’t beat yourself up over the minor setbacks that may occur. Instead, ask yourself what you could do differently next time. Life happens, so take a deep breath, reflect, and focus on your overall goal to get back on track. We wish you all the best in achieving your 2019 goals! If you would like to discuss how we can support you in your goal-setting, please contact us today at info@pivothrservices.ca or 604.916.6199. Curious about professional coaching? Check out our coaching services.